Well we are two months into the new year, which means we have one month left in our fiscal year. As our year is wrapping up I can reflect on how busy we have been here at F. P. Miller Company. At times it is overwhelming, but the focus that we must all have is providing "A #1" quality machines to the customers that we support. As we get more and more busy, so do the vendors that we rely on to do our machining, supply us with our components and materials. Who said manufacturing in Michigan is dead? They should try and get someone to turn around some machining in a timely fashion, this state is rockin'! You have seen the big machines that we do here, but I thought it would be appropriate to show a small machine, there for I have placed a photo in this blog of a 16" Blanchard that we recently finished re-manufacturing. We also get a number of projects in that include just parts and pieces of machines. For example we have a column and head off an 84" Blanchard that we are rebuilding right now, we also get a number of saddles and magnets in for rebuild. There is one other thing that I wanted to address in this blog and that is the lack of good used machines on the market. 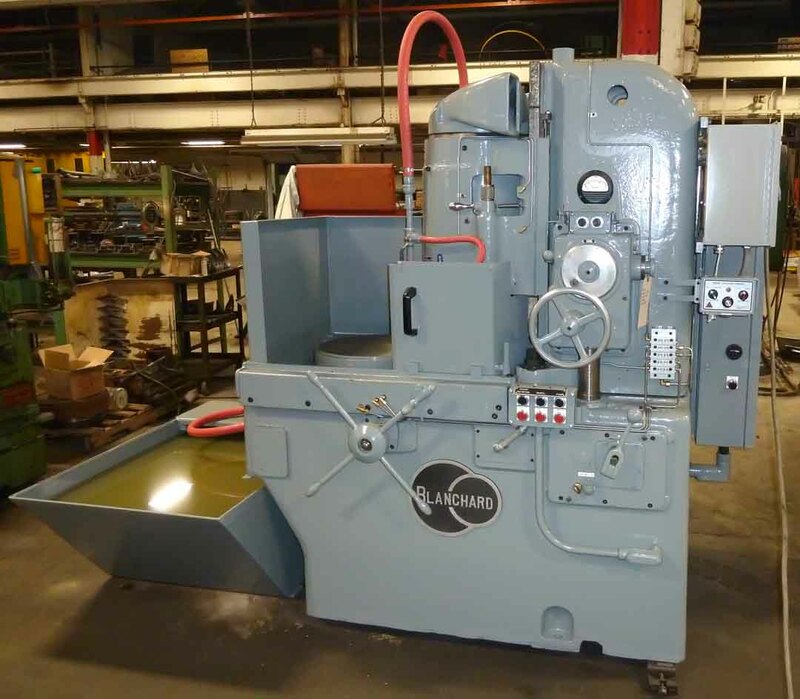 It is just tough to find good used CNC machines, Press Brakes, Shears and etc right now on the market place. We are actively pursuing all machines as well as entire plants that would be available for sale. If you know of someone that has something for sale, give one of our salesmen a call and we will pursue it. If we are able to purchase it, we will compensate you for the lead! If you are interested in getting updated on what is going on here at F. P. Miller Company, please sign up to get notifications of our http://blog.fpmiller.com BLOG, Follow us on https://twitter.com/#!/fpmillercoTWITTER or friend us on http://www.facebook.com/fpmillercoFACEBOOK or you may also feel free to visit our http://www.fpmiller.com web page and review our inventory. Sub-millimeter precision is possible. Chains and rubber Technic bricks...!